Crete Transportation - services on the island run on time and very efficiently, you can catch local KTEL buses everywhere and have a very good holiday. Or take a taxi, a transfer, a cruise or a ferry. Chania airport is in the north-west of Crete. Arriving into Chania port or airport, you will be 15 km from Chania town, in a region of the same name - Χανια or Chania or Hania or Xania. This is the western province or region of the island and Chania is the capital town. From here several transport links connect to the next capital town - Rethymnon - and along the north coast to Heraklion and to Agios Nikolaos in the east. To explore the Chania region the options for transportation are hire car, taxi transfer, local town buses or regional buses. There are some day cruises to take you to remote parts of the region, and a ferry link between seaside villages and islands in the south. The small harbour at Rethymnon is full of character and lined with tavernas - what is that pirate ship doing there? To reach Rethymnon town, which is the capital of this region of the same name, east of Chania yet west of Heraklion, access is via Chania or Heraklion airport. From Chania airport it is 70 km to Rethymnon and from Heraklion airport it is 52 km. 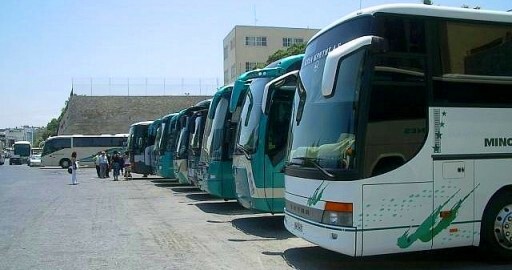 To explore the Rethymnon region options for transportation are local buses, regional buses, hire car or taxis, transfers can also be arranged. Some day cruises are available. Seajets runs a fast ferry service to Santorini island in summer months, making it possible to take a day tour to that island. The town of Heraklion is the capital of Crete and sits on the central north coast, surrounded by a region of the same name. There is an international aiport and a large ferry port. Ferries from Athens and Santorini dock here, fast ferries to Santorini take 2 hours in summer. 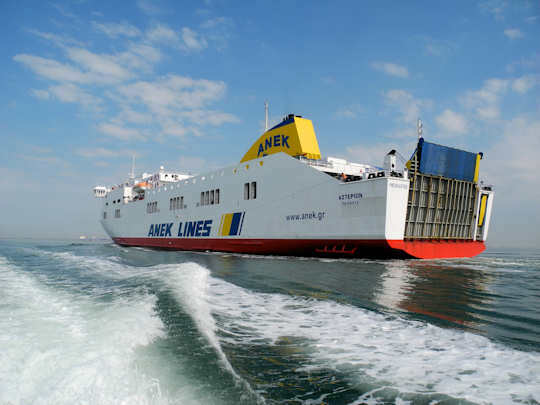 Overnight ferries from Athens take about 9 hours. From here there are many transportation options such as local city buses, regional buses, taxis, pre-booked transfers and hire cars. Explore the Heraklion region with the many day tours that provide comfortable coach transportation to visit beaches, ancient archaeological sites, scuba diving spots, mountains, gorges and villages. 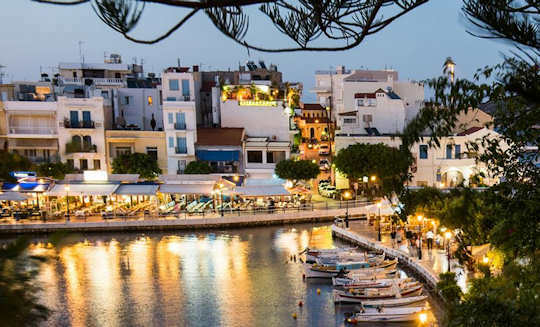 Agios Nikolaos has a large ferry port, served by local buses and taxis for the east of Crete.The bus station is located at Epimenidou 59, Agios Nikolaos which is about 14 blocks or 10 minutes walk to the centre of town by the lakeside, or a few euros by taxi. This is the capital of the Lasithi region of Crete and transportation options include day tours and boat cruises. 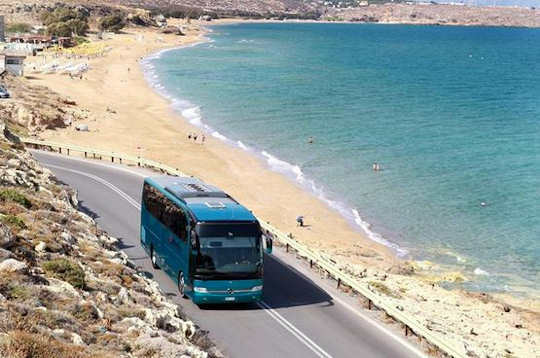 Regional buses take you to Ierapetra and Sitia further east. Sitia has an airport which accepts flights from within Greece, the airport code is JSH, and in summer there are many flights a day from Athens. The airport is less than 1 km from Sitia town. This airport can be a handy link with Rhodes island and Karpathos island. 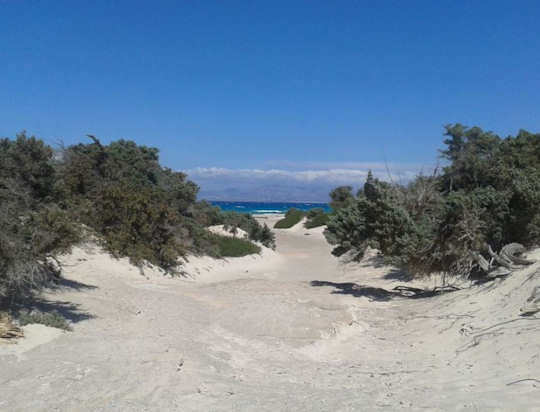 Chrissi Island (pictured above) is one of the highlights of visiting eastern Crete. This uninhabited natural islet is surrounded by clear azure waters and circled by bright white sandy beaches, creating a haven for swimming and snorkelling in summer. Take a day tour across on the boat from Ierapetra. 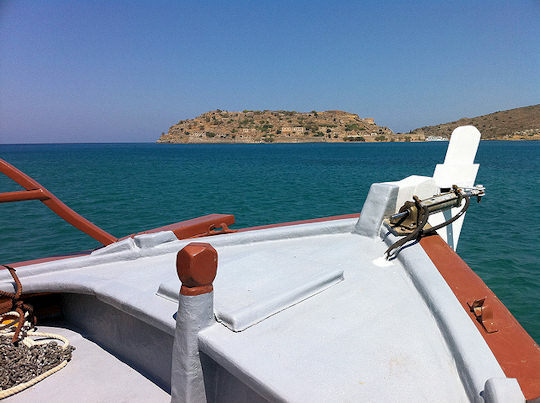 Spinalonga Island (pictured above) has a fascinating history including time as a leper colony. This makes it endlessly compelling to visit and this needs to be by boat. 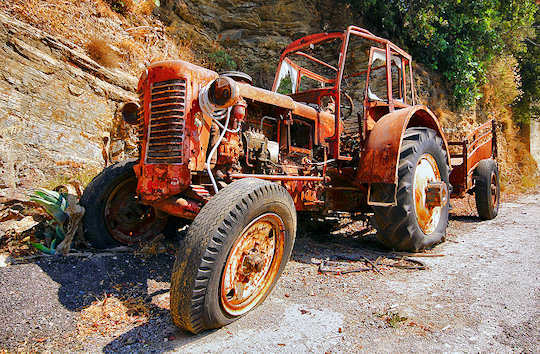 As the island sits just off the small village of Plaka on the northern coast of eastern Crete, day tours can be arranged from Elounda or Agios Nikolaos or boats can take you across from Plaka. Above you can see the local buses run by KTEL which are used all over the island. These are modern air-conditioned coaches and they are very comfortable. Each capital city has a large bus station with an information desk, ticket sales desk, lockers for luggage storage and a small shop or cafe. Above you can see the road quality and the modern coaches used as buses all over Crete. For this reason many independent travellers make their way all aroun the island on the local buses. In summer the frequency of services is much higher than in spring, autumn or winter, so if you are travelling during those times, make sure you check the timetable, especially for your return bus, if you are going to a remote location.